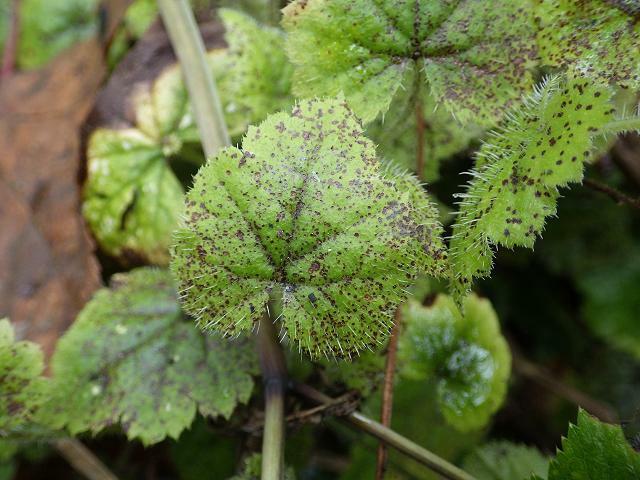 To be quite honest, I am uncertain as to what the agent is, that is causing the leaf spots on Tolmiea menziesii here. I have read of two species of Colletotrichum in the USA that cause similar symptoms of disease, in plants grown in the USA for domestic use. 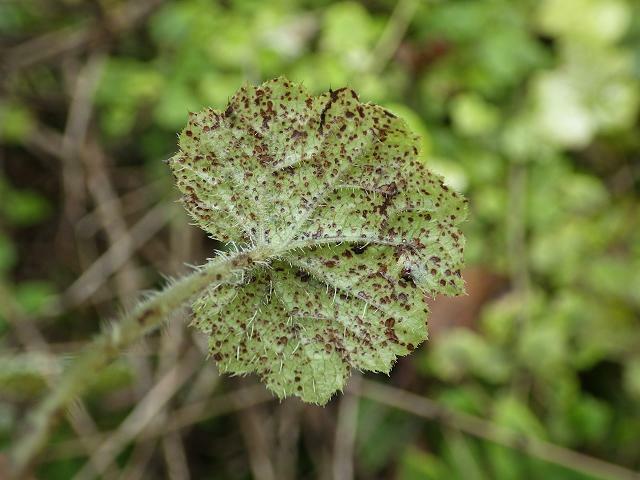 Of those two diseases only one occurs on the UK fungi checklist, and that is Colletotrichum acutatum. So please only accept this species of fungi as being possible for this plant. I'd be keen to hear from anyone who knows this disease in the USA. 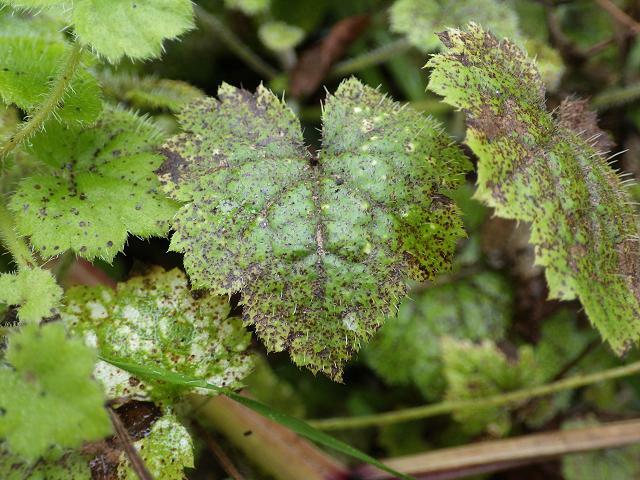 The Tolmiea menziesii here was found at the north end of Drift Reservoir, south of Skimmel Bridge, Sancreed, near Penzance, Cornwall. 30.09.13.